A beautiful illustration of the body's energy meridians and an authentic Chinese medicine reference. 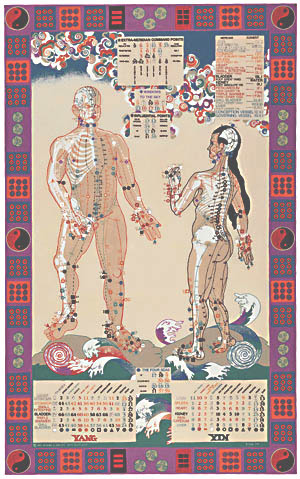 Designed by an acupuncturist and two artists, this poster can be framed and turned into a gorgeous addition to any room. 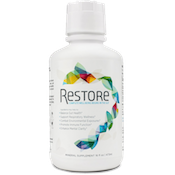 A real-conversation piece, it is used by professional acupuncturists and body-workers, and the laminated version can even be written on with dry-erase markers (great for students). Regular version can be framed under glass, but it also looks great in a frame without glass. Measures 24 x 38 inches, and comes with an informational booklet on Chinese medicine. 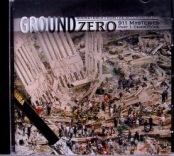 Soundtrack of the popular documentary "911 Mysteries." 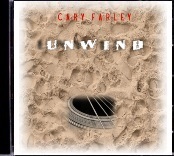 Original music (composed by S. Baker and E. Bien), expanded with extra tracks not included in the film for a flowing listening experience. If you've wondered about income tax, here's the book that will show you - gently and firmly - how and why we've all been led astray. These are the findings of Pete Hendrickson who carefully scrutinized the entire Internal Revenue Code for all definitions of its various key words and concepts. The research is thus done for you, but it remains up to you to understand the reality - and use it. 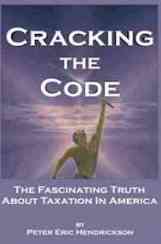 Applying this exceptional resource, many have received full refunds of all withholdings time and time again. The statutes are not faulty - it's our interpretation of them that is. Highly recommended, but not an easy read!